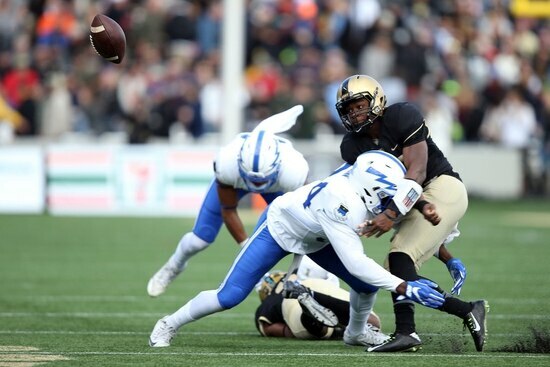 AIR FORCE ACADEMY, Colo. — Army stumped Air Force’s offense like very few have before. Give the Black Knights a trophy for the effort — or the shot at one anyway. 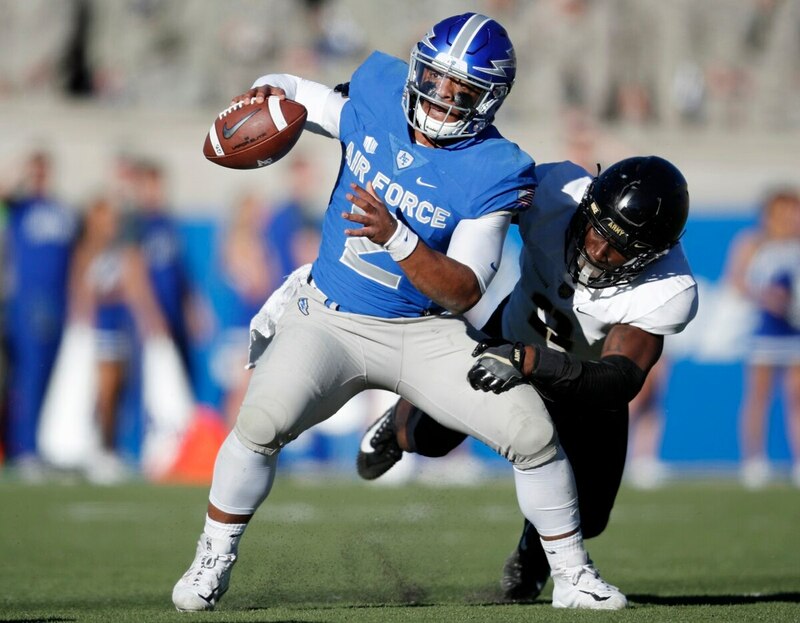 Air Force had the fifth-longest scoring streak all-time in the FBS before Army’s swarming defense ended it. The last time the Falcons were held scoreless was by Mississippi in the 1992 Liberty Bowl. It was the first time the Falcons were shut out at home since Nov. 1, 1980, against Boston College. In addition, the Black Knights (7-2) took a big first step in their quest to capture the Commander-in-Chief’s Trophy for the first time since 1996. 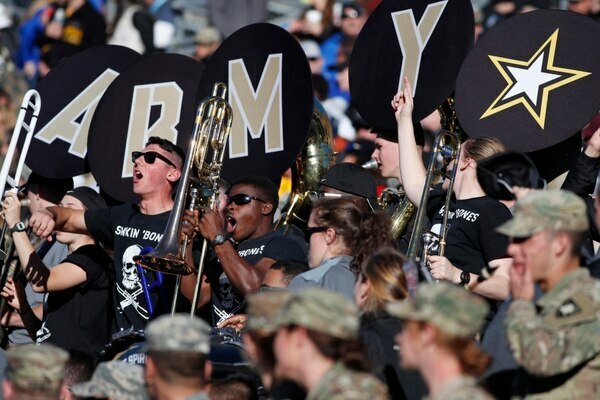 The winner of the Army-Navy game on Dec. 9 will take home the honor in the annual round-robin competition between service academies. Air Force was beaten by Navy earlier this season. Not only that, but Army’s defense was on point all afternoon in bottling up the Falcons’ tricky triple-option offense. 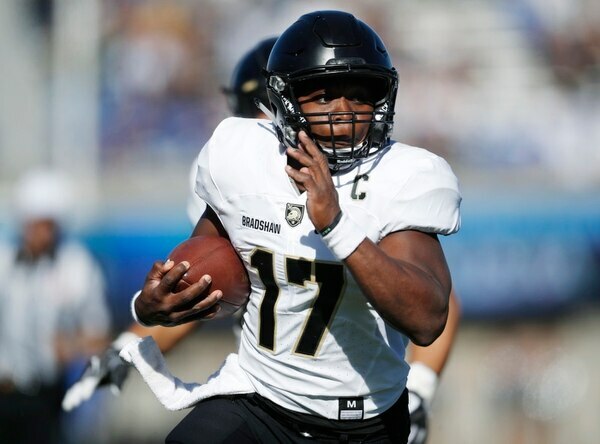 The 265 yards rushing by Bradshaw was the most rushing yards in a game by an Army quarterback, according to the team’s website. The previous best was 212 yards by Trent Steelman against Eastern Michigan on Oct. 20, 2012.